For being such an irrelevant lightweight, Sarah Palin still manages to get under the Left’s thin skin (more on that in a minute). While this is hardly a news flash, it is ironic that Palin is now, according to CNN and others, showing skill at also alienating the right — especially Chuck DeVore supporters — with today’s endorsement of Carly Fiorina, one of three seeking the Republican spot to take on incumbent U.S. Senator Barbara Boxer. Boxer certainly isn’t the Blue Dog’s cup of tea, but it is hard to see how Palin’s endorsement helps Fiorina attract the middle once the primary is over and Palin is hanging on her back like Clint Eastwood’s orangutan in “Every Which Way But Loose.” Carly’s camp is dissing Tom Campbell for a track record of losing big races because of his moderate credentials. Perhaps a valid point. But that may have more to do with public persona than partisan orientation. On paper, Campbell would appear the best person to unseat Boxer. While Fiorina remains intriguing — she would appear to be much less so for independents and moderate Dems with a Palin endorsement. Seriously, is the Official Palin Stamp of Approval really the holy grail for Republicans? They are in big trouble if it is. As for Palin’s ability to burrow like a crazed tick under the thin skin of liberals . . . The BlueDog – while no fan of Palin – finds all the contrived controversy about her Cal State University Stanislaus speech utterly ridiculous. An AG Jerry Brown investigation? State legislative news conferences, dumpster diving and conspiracy theories involving Palin’s agreement with a non-profit university foundation? You gotta be kidding me. Aren’t there bigger fish to fry? 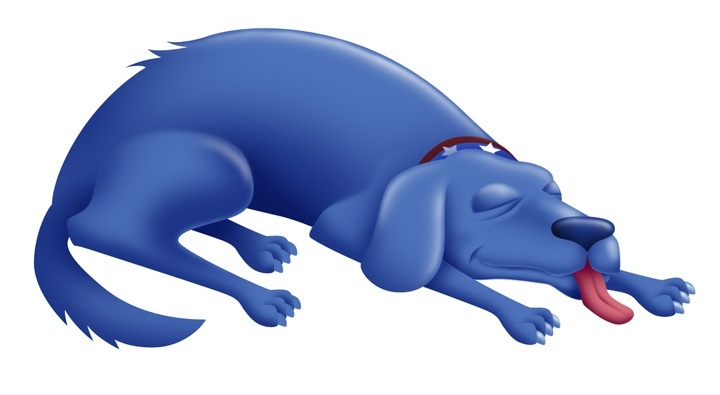 You couldn’t pay the Blue Dog to hear Palin speak. She is a dim bulb on a huge ego trip. She was not vice presidential timber, but that’s what elections are for. The reality is that plenty of people relate to Palin and want to hear her blather on about whatever is on her mind. Like it or not, she is a big draw among an ardent group of voters, commands large fees and can help organizations like the CSU-Stanislaus foundation raise funds for worthwhile causes like scholarships. Good for her. The last time we checked this was still the United States and citizens (and illegals, apparently) had a few rights involving freedom of speech, expression, assembly and getting paid what the market will bear. If Bill Ayers or Reverend Jeremiah Wright were speaking on a public university campus, this type of flap wouldn’t even be on the radar. Instead, we see an ongoing witch hunt against Palin by the Left – a energy that only gives her a credibility she wouldn’t otherwise possess. Moderates and independents in California — even those with no love for Palin — have little interest in seeing precious state resources and legislative energy wasted on character assassination. While we watch helplessly as many newspapers struggle to stay afloat, it is encouraging to know that at least one serious purveyor of in-depth news is thriving: National Public Radio. Before anyone tries to gore the station as a bastion of liberalism, consider independent market data that draws a very different and eyebrow-raising conclusion: 34 percent of NPR listeners define themselves as conservatives. That’s nearly equal to the 37 percent who say they tilt far left. The rest, or 29 percent, say they are middle of the road (us blue doggies). An NPR insider explained there remains a strong appetite among the radio’s demographic (typically college-educated with good incomes) for substantive programming regardless of their political viewpoint. And just for fun, even if it were it to be documented that NPR is massively liberal in its content, wouldn’t this suggest conservatives are more open-minded than liberals? After all, can you imagine 34-percent of The O’Reilly Factor viewers identifying themselves as liberals? But we’re chasing a tangent. What is fascinating about NPR is that it is running counter to the trend we’re seeing with the Incredible Shrinking Attention Span (ISAS) throughout our society. Get this: There actually are people out there who prefer five and ten-minute segments as opposed to 30-second snippets . . . People who are gravitating to calm, thoughtful voices rather than the political rants and raves that infect the AM band and the cable TV talk shows. And while the downturn in the economy has impacted corporate underwriting, the Blue Dog is told that donations from listeners are way up, as is the overall listenership locally, statewide and nationally, which has seen a 47-percent jump in the past seven years. More than 34 million people listen to NPR each week. More people tune in to “Morning Edition” than watch NBC’s “Today Show.” And can you wrap your mind mind around the fact NPR has more bureaus (38) nationwide than CNN? In Sacramento, Capital Public Radio’s KXJZ 90.9 FM has catapulted from the 16th ranked station in market to number two, only behind KFBK, according to Arbitron ratings comparing Fall of 2005 with the same time frame last year. Listenership has nearly doubled in that time. It is remarkable that contributions from just 10-15 percent of its listeners can sustain the enterprise. Some media watchers toy with the idea of developing a similar non-profit funding model for the newspaper industry. Free it from the shackles of Wall Street. That may be a stretch, but certainly anything should be on the table to save print or transition it safely to digital terra firma. 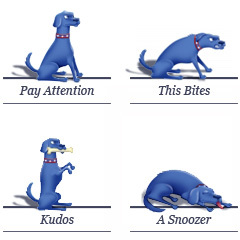 Should we get to that point, the Blue Dog will be first in line with a contribution. In the meantime, stay tuned in to public radio.